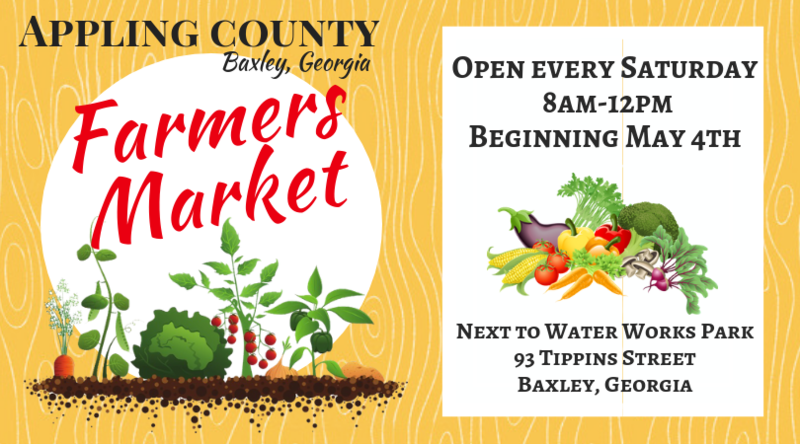 Open every Saturday beginning in May, the Appling County Farmers Market is sure to please. Local Farmers will be selling their delicious produce, flowers, eggs, goats milk soap and more! Conveniently located next to Water Works Park. Hours may be extended based on merchant attendance.